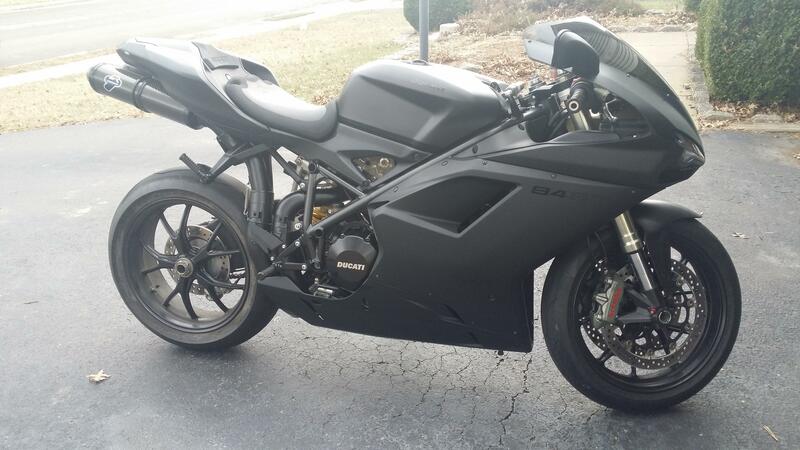 I just recently moved back to Northern Virginia and am looking to see if there are any fellow Ducati riders around here. I am in Woodbridge, VA, let me know!! Last edited by black848; January 14th, 2014 at 12:53 PM. Some people are like slinkies! They are really not good for anything but they sure bring a smile to your face when you push them down a flight of stairs!!! Got a group of about 6-8 guys around the area off the "other" forum who used to meet up once in awhile at Starbucks at the Virginia Square Metro station and discussed other good locations as well. Once spring rolls around we will try to make it a regular thing, perhaps rotating meet location and doing a little ride as well. Until then STAY WARM ! I'm a little west in Gainesville but still definitely NoVA let me know and shoot me a PM. It's about time we get this rolling again! We should definitely all get up and ride sometime. Last edited by black848; March 15th, 2014 at 06:51 PM. Which part of Woodbridge do you live? I'm from Woodbridge as well. Hopefully in about a week we'll have some decent riding weather. lake ridge by dillingham square. you? Ashburn (close to Dulles Airport). Do you ride track or just street? From where did you relocate?